Using APKPure App to upgrade My Colony, fast, free and save your internet data. My Colony is a hybrid space colonization, city builder, simulation and strategy game developed by Brandon Stecklein and Ape Apps. My Colony offers both single player and multiplayer gameplay. Build your space city at your own pace, or join an online empire. My Colony is sort of a mix between the classic city builder games, real time strategy games, and civilization builder type games. There is no nickel and dime monetization in My Colony either, no diamonds to buy. Almost the entire game is free, with one single low priced Premium Upgrade available to unlock decorative structures and support the continued development of the game. I modeled My Colony after classic PC style gameplay, and have avoided the more modern idle builder diamond fest pay to play model. You can play at your own pace. Building your city is simple enough for beginners, and advanced enough for core gamers. Basically, My Colony is the game I always wanted to play on Android but could never find in the app store. If you like games the way the used to be instead of the more modern style, give My Colony a try. And if you would like to see me add something, let me know in the comments or in the forum community. This game is for you guys, so help me make it as good as it can be! this update changes the main UI theme a bit, fixes some bugs, and adds a couple of new structures. 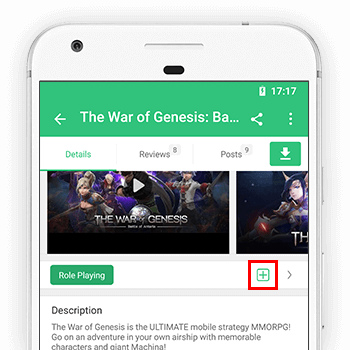 Leave suggestions in the play store comments and stay tuned for more!